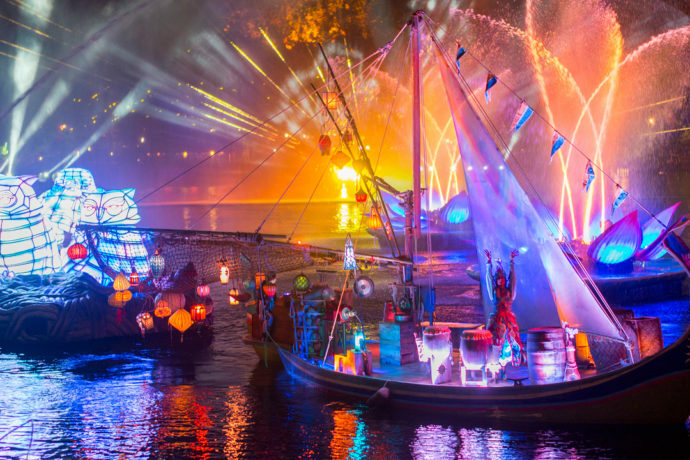 The all new nighttime show, Rivers of Light, is finally set to debut February 17th at Animal Kingdom, after nearly a year-long delay. During the 15 minute show, 11 floats are programed to move independently of one another, in a ballet of sorts, around the lagoon. 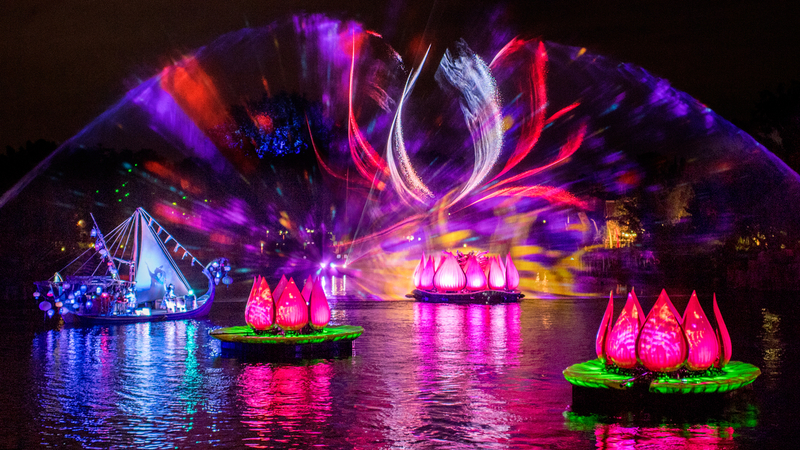 There are more than 50,000 color-changing LED lights on just the four animal floats alone! And projections onto walls of water feature never-before-seen footage from the Disneynature documentary series. This new show is yet another step of Disney adding more nighttime offerings to Animal Kingdom, often called the “half-day” park. 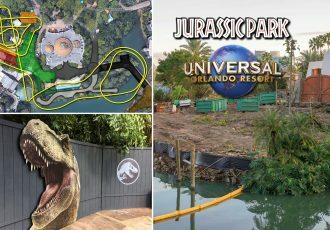 Along with Kilimanjaro Sunset Safaris, upscale dining at Tiffins, and the Tree of Life Awakens projection show, all added last year, Rivers of Light continues the trend of adding more things for guests to do after dark. 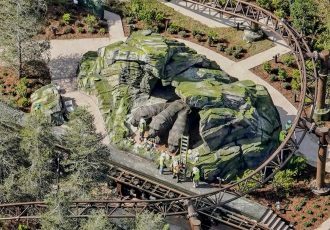 All of this is in preparation for the grand opening of Pandora – The World of Avatar in May. 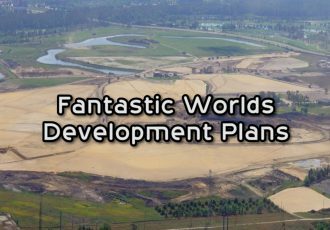 A prominent feature of Pandora will be the bioluminescent lighting designs of the new land, which can only really be taken in at night. A park that used to close before sunset is (finally) becoming an all day destination. 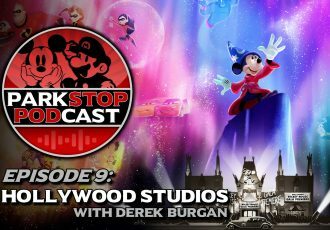 After the February 17th premiere, this show will run on select nights. Be sure to check the My Disney Experience app or view the park schedule to find showtimes and dates before planning your visit. 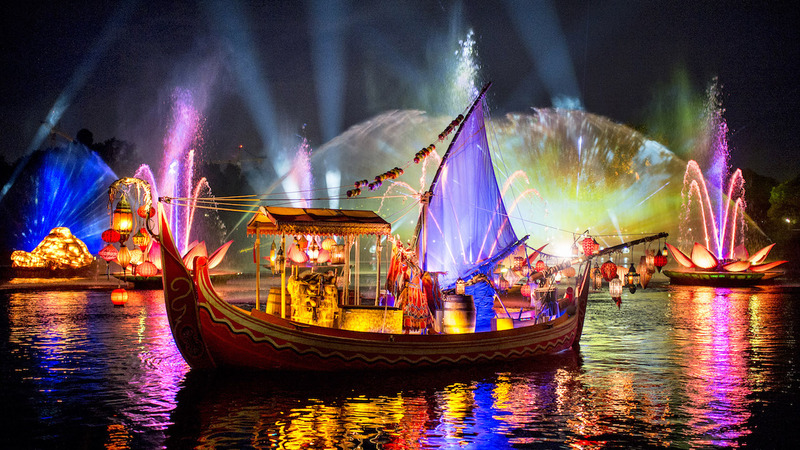 Learn more about Rivers of Light below and stay tuned for continuing theme park news coverage! Get swept away in a timeless show that celebrates the beauty of all living things. With a brilliant fusion of water, sound and light, it’s quite unlike anything you’ve experienced before! As sunlight fades and the stars begin their twinkle, remember that we are all bound together by earth and spirit—past, present and future. Listen as the Discovery River responds to the whispers of the world, cradling creatures with a symphony that swells with wild murmurs and shimmering secrets of the universe. So begins a new light—a vibrant awakening of flitting fireflies leading to a ceremonious procession across the water. Before your eyes, clusters of lantern light shift and shape into stunning animal spirit forms—the Tiger, Turtle, Elephant and Owl. 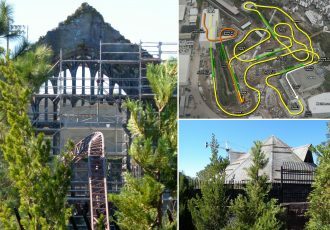 Spellbound, you’re transported across Asian jungles and tropical oceans to African savannahs and North American mountains. This magnetic display culminates in a triumphant blend of song, light, color and earthly elements—a grand finale so divine that you can’t help but feel a sense of peace and oneness with nature. Eastern festival traditions merge with innovative technology to make Rivers of Light come alive. Featuring evocative, never-before-seen footage from Disneynature, live performances and floating set pieces set to a soaring original musical score—this nighttime show employs a host of magical devices to create an immersive experience that’s unique to anything else on the planet. Prior to arrival, check the My Disney Experience mobile app or view our park schedule for showtimes. This show runs on select nights for approximately 15 minutes, so be sure to pick up the Times Guide in the park for the most up-to-date schedule. 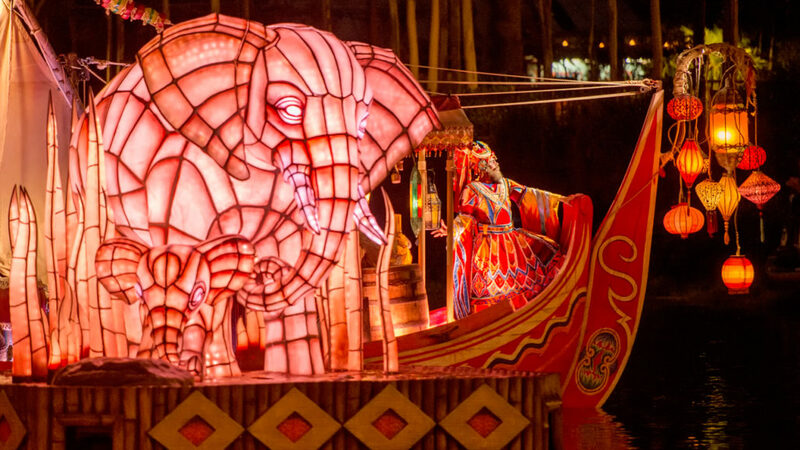 Take advantage of decadent dining experiences and premium seating for the enchanting, nighttime Rivers of Light show. 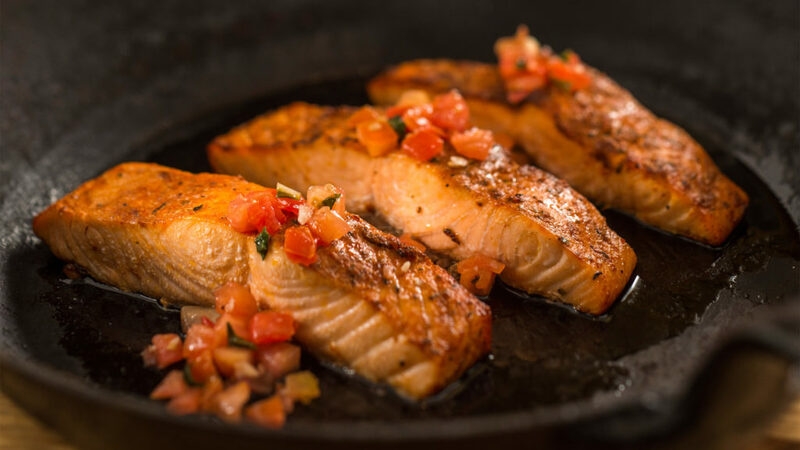 Packages include dinner at either Tusker House Restaurant or Tiffins, and premium seats to the Rivers of Light show.